RUSH: Here is Robert, Port Charlotte in Florida. Great to have you, sir. Hi. CALLER: Hi. Dittos, Rush. Listen, I’ll be very quick. I was wondering what your thoughts would be on Nancy Pelosi primarying both Cortez and Omar. She’s very vindictive, and she didn’t get to where she’s at without being conniving and vindictive. RUSH: I looked at your call up there and I saw this was gonna be your question, and I began to think. I have seen somewhere — I can’t pinpoint it — where somebody is already thinking of doing this in Cortez’s district. Now, whether it’s happening with or without Pelosi’s involvement, I don’t know. CALLER: She’s… Let’s put it this way: If it was me, I’d be doing it for sure. 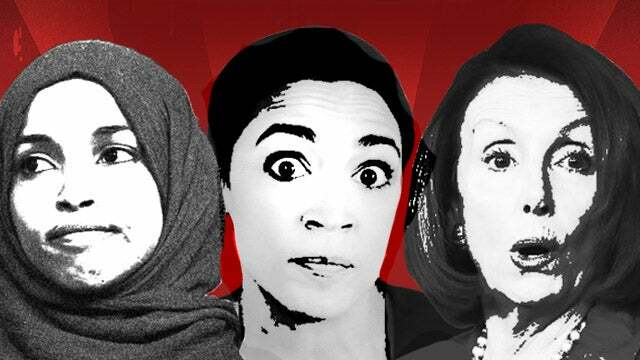 RUSH: if you were Pelosi, you would want Cortez and Ilhan Omar gone? CALLER: Oh, guaranteed. They’re interfering with everything she’s trying to do, whether you agree with her or not, and Pelosi’s not used to that. She’s used to having control, and that’s one of her big things. RUSH: No, I understand. I do totally understand. Meanwhile, Cortez and her crowd are gonna be out recruiting even more people like her to run another district; so this is gonna be an interesting tug-of-war. And the one thing about Cortez and Omar, they are not afraid of Pelosi. She may as well be a grandmother whose time has come to sit in the kitchen and bake cookies, as far as they’re concerned.